Happy 2017! 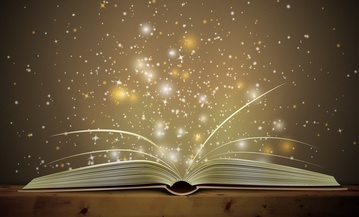 As we get ready to begin another year, it’s time to look ahead and geek out over the Science Fiction and Fantasy reads I’m most excited about. Not only is it fun to organize my reading and to make lists, they also have the added benefit of focusing my attention to the highly anticipated releases that I’d like to check out. There’s already an impressive tower of books on my TBR pile, and these are only from the first quarter of 2017. While I’m under no illusions that I’ll be able to read them all, hopefully I can get to most of them (and also put some new books on people’s radars)! What’s on your early 2017 reading list? 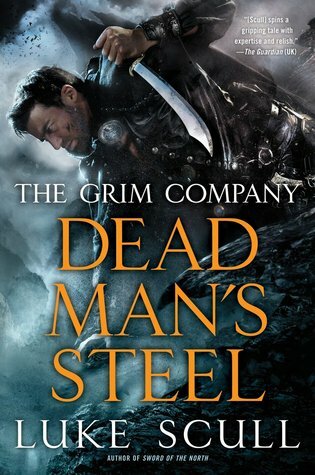 Dead Man’s Steel by Luke Scull (January 3) – The final installment in the Grim Company trilogy, and I can’t wait to see how it ends. 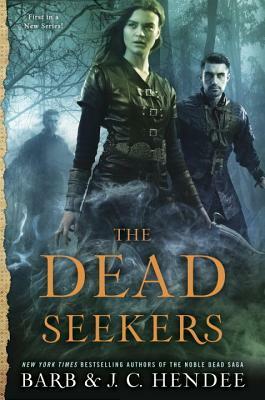 The Dead Seekers by Barb & J.C. Hendee (January 3) – A new series set in the same world as the authors’ Noble Dead Saga. 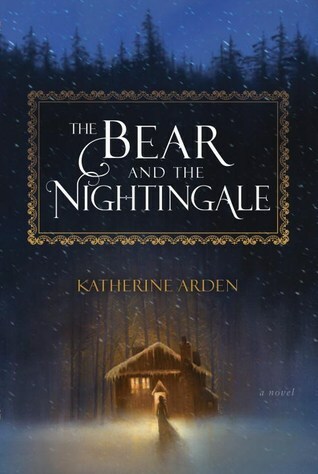 The Bear and the Nightingale by Katherine Arden (January 10) – A magical debut inspired by Russian fairy tales and folklore. 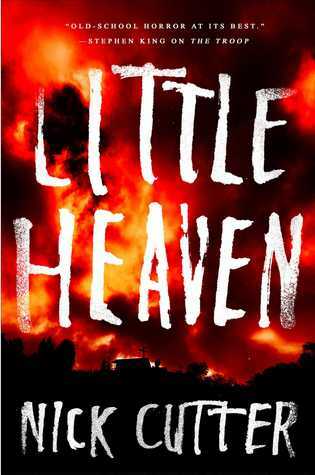 Little Heaven by Nick Cutter (January 10) – An epic horror tale set in midcentury New Mexico from the author who brought us The Troop. I wonder if it’ll be just as gory. 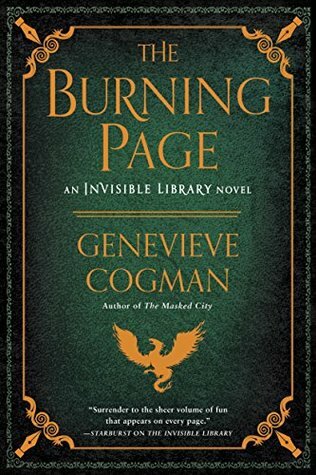 The Burning Page by Genevieve Cogman (January 10) – The third book in the Invisible Library series. Yay for more adventures with Librarian spy Irene and her dragon prince apprentice, Kai! 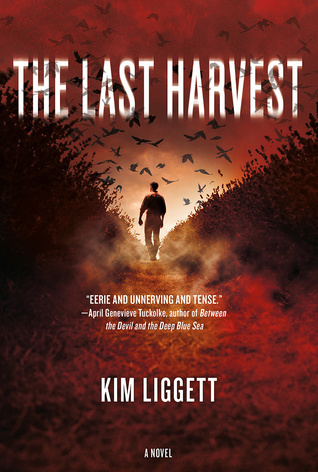 The Last Harvest by Kim Liggett (January 10) – This book was pitched to me as a horror novel set in Oklahoma that’s been described as Rosemary’s Baby meets Friday Night Lights. Awesome. 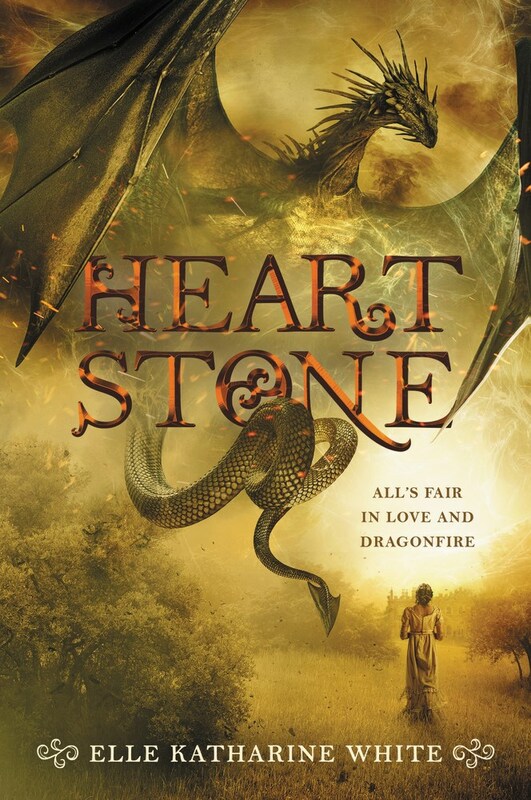 Heartstone by Elle Katharine White (January 17) – A historical fantasy that re-imagines Pride and Prejudice in an world of dragons and other mythological creatures. 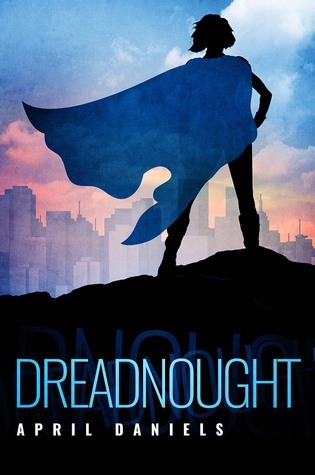 Dreadnought by April Daniels (January 24) – A superhero novel about a trans teen who inherits the powers of the world’s greatest superhero. 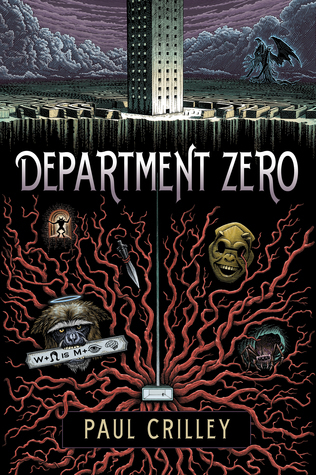 Department Zero by Paul Crilley (January 24) – A book about a man who stumbles upon a network of universe-hopping gates, giving him access a secret multiverse of alternate realities. 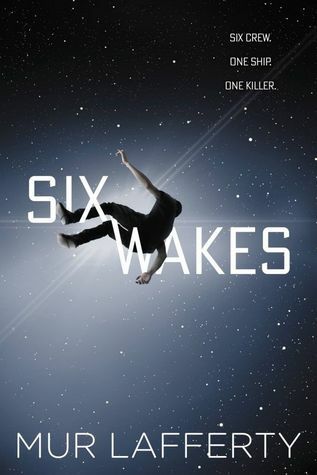 Six Wakes by Mur Lafferty (January 31) – A space adventure where the murdered crew on a ship are resurrected through cloning, and they must solve the mystery of who their killer was. 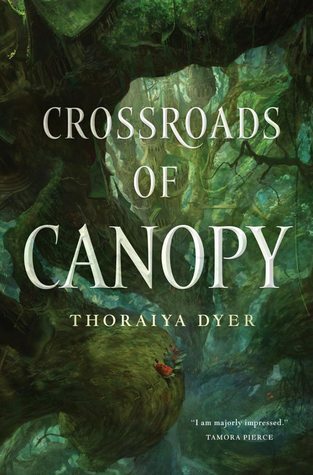 Crossroads of Canopy by Thoraiya Dyer (January 31) – A fantastic looking debut that is set in the canopy of a giant mythical rainforest controlled by a pantheon of living gods. 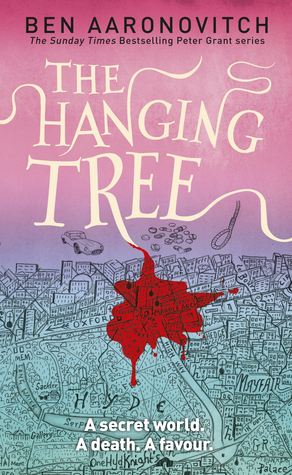 The Hanging Tree by Ben Aaronovitch (January 31) – The sixth book in the the Rivers of London/Peter Grant sequence, which is one of my favorite urban fantasy series. 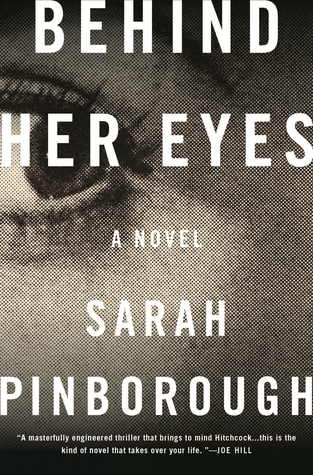 Behind Her Eyes by Sarah Pinborough (January 31) – A thriller-suspense about a love triangle from hell. Apparently, the ending is a shocker! I’m a huge fan of Pinborough and I’m really excited about this one. 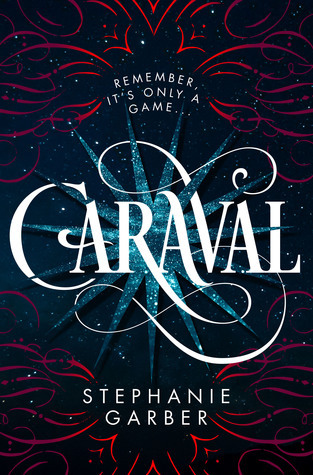 Caraval by Stephanie Garber (January 31) – One of my most highly anticipated YA releases, Caraval is about two sisters who escape their cruel father to end up at Caraval, a once-in-a-lifetime magical show. 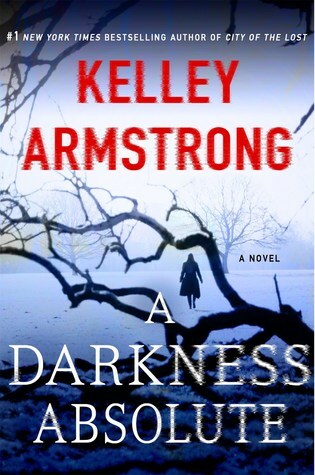 A Darkness Absolute by Kelley Armstrong (February 7) – The sequel to Kelley Armstrong’s most excellent City of the Lost, featuring Rockton town detective Casey Duncan. 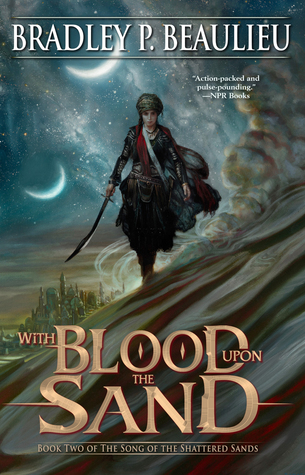 With Blood Upon the Sand by Bradley Beaulieu (February 7) – The second book in the Song of Shattered Sands trilogy continuing the harrowing adventures of Çeda, now a Blade Maiden in service to the kings of Sharakhai. 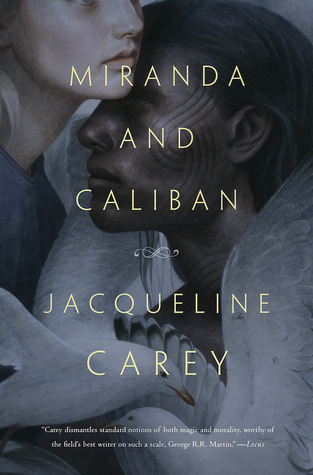 Miranda and Caliban by Jacqueline Carey (February 14) – A retelling of The Tempest by one of my favorite authors, Jacqueline Carey. 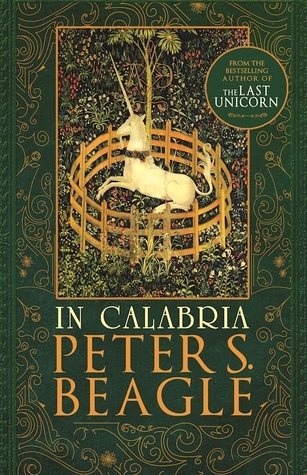 In Calabria by Peter S. Beagle (February 14) – A new unicorn fable from Peter S. Beagle, whose books I’ve wanted to read for a while! Winter of the Gods by Jordanna Max Brodsky (February 14) – I loved The Immortals and now I’m ready for even more myth-meets-reality in this high anticipated sequel. 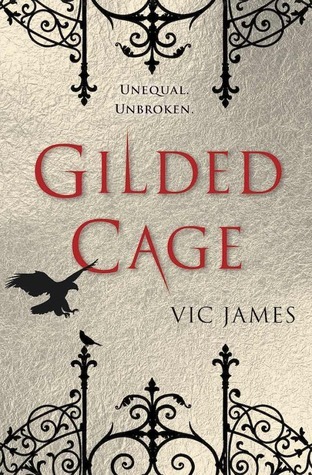 Gilded Cage by Vic James (February 14) – A Young Adult novel about an alternate Great Britain controlled by aristocrats with magical gifts, and all commoners must serve them for ten years. 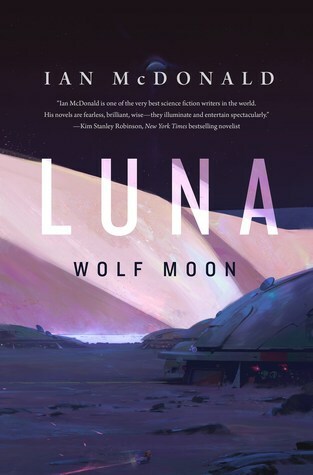 Luna: Wolf Moon by Ian McDonald (February 14) – Luna: Wolf Moon takes place eighteen months after Luna: New Moon. The first book was incredible, and I have a feeling this sequel will live up to it. A Conjuring of Light by V.E. 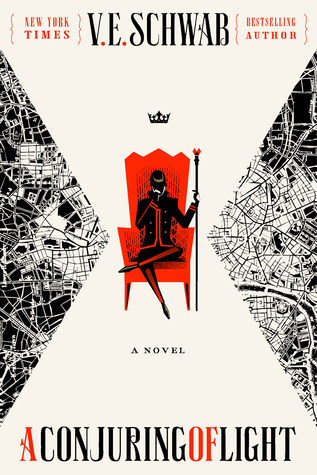 Schwab (February 21) – This final installment of the Shades of Magic trilogy will see the epic battle between four magical Londons come to a conclusion. 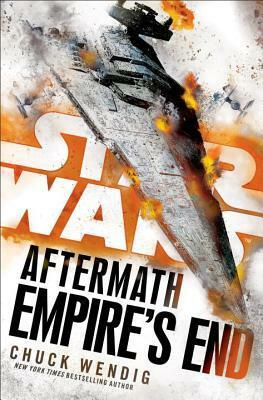 Star Wars: Aftermath: Empire’s End by Chuck Wendig (February 21) – The conclusion of the Star Wars: Aftermath trilogy. The second book was an improvement from the first one, so I hope the pattern continues for this finale. 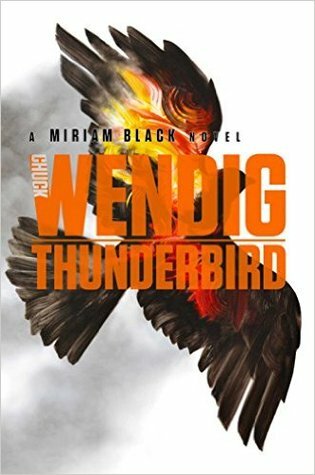 Thunderbird by Chuck Wendig (February 28) – Wendig is on fire this month. Finally, we’ll be getting book four of the Miriam Black series. It feels like I’ve been waiting for this sequel forever! 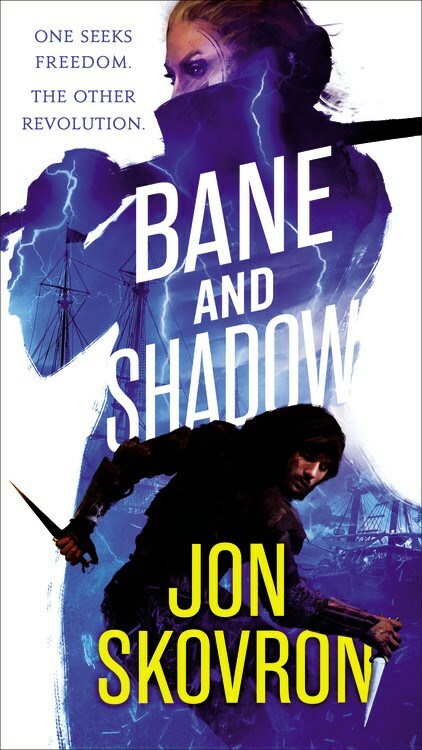 Bane and Shadow by Jon Skovron (February 28) – The follow-up to Hope and Red. It’ll be interesting to see what our eponymous protagonists are up to in this sequel. 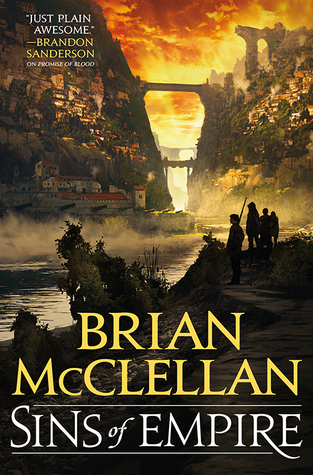 Sins of Empire by Brian McClellan (March 7) – A new epic fantasy series from the author of the Powder Mage trilogy, set in the same world. 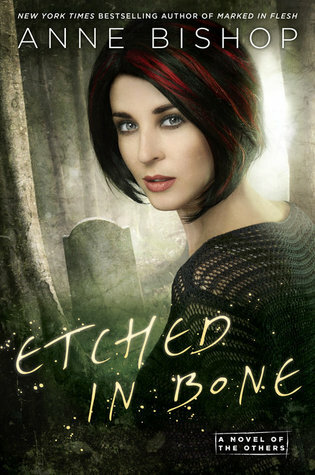 Etched in Bone by Anne Bishop (March 7) – So sad this will be the final book of the series! But I am looking forward to see how everything ends. 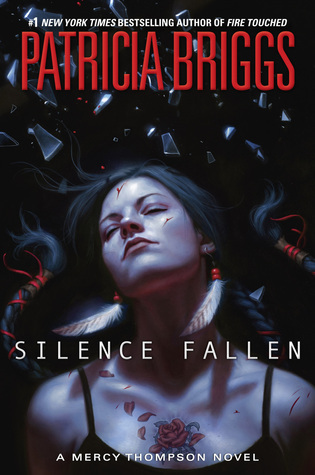 Silence Fallen by Patricia Briggs (March 7) – March is an exciting time for urban fantasy, with another new installment of the Mercy Thompson series. 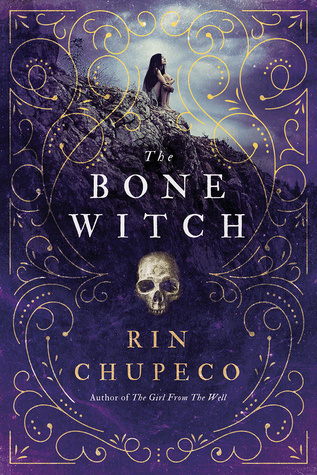 The Bone Witch by Rin Chupeco (March 7) – Witches and necromancy? Count me in. Really curious about this YA novel which is already getting tons of praise. 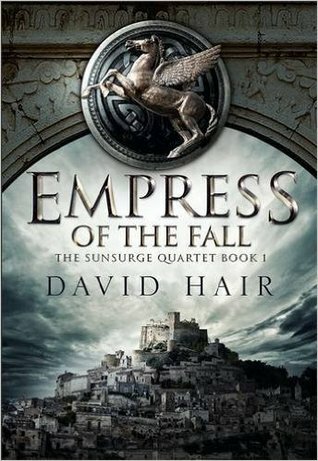 Empress of the Fall by David Hair (March 9) – The beginning of The Sunsurge Quartet, a sequel series to The Moontide Quartet, which I’m a bit behind on. Hopefully that won’t prevent me from enjoying this one! 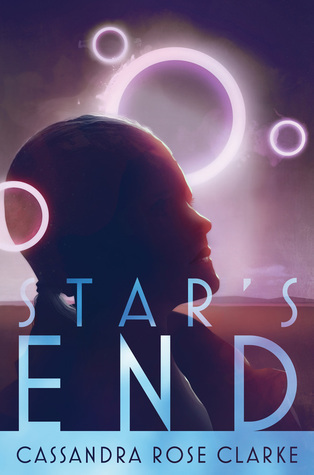 Star’s End by Cassandra Rose Clarke (March 21) – A new space opera from Cassandra Rose Clarke. I love her books. 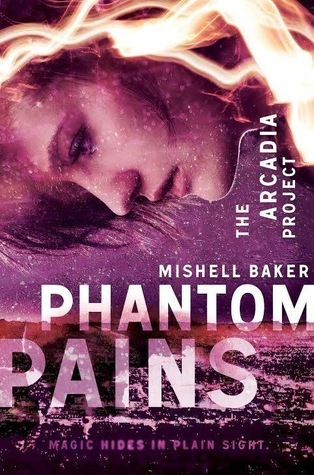 Phantom Pains by Mishell Baker (March 21) – The sequel to Borderline, which was an amazing book! Can’t wait to catch up with Millie and the Arcadia Project. 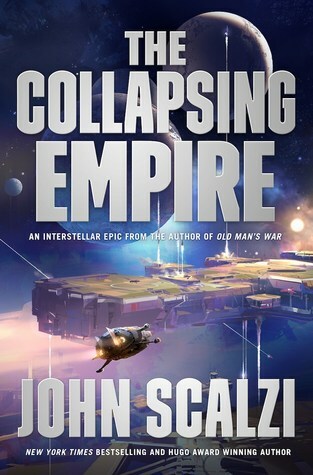 The Collapsing Empire by John Scalzi (March 21) – It feels a bit strange pondering a new space opera novel by Scalzi that’s not from the Old Man’s War sequence, but I’m looking forward to this start of a new series nonetheless. 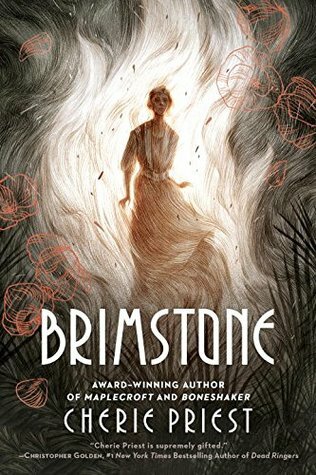 Brimstone by Cherie Priest (April 4) – A new dark historical fantasy from Cherie Priest. This one sounds right up my alley! 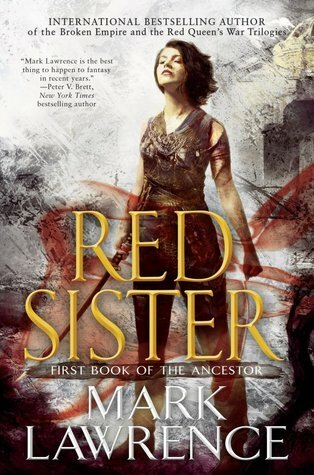 Red Sister by Mark Lawrence (April 4) – Mark Lawrence begins another new series with Red Sister, an epic fantasy about a secret order of holy warriors. 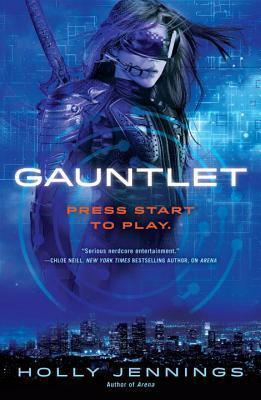 Gauntlet by Holly Jennings (April 4) – Sequel to Arena, a sci-fi thriller about the world of competitive virtual gaming. I’m ready to plug back in. 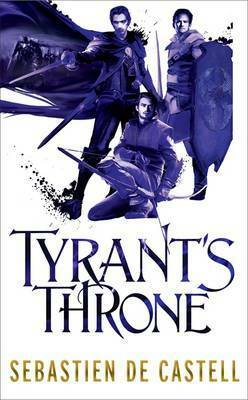 Tyrant’s Throne by Sebastien de Castell (April 4) – I’m beginning to think Sebastien de Castell can do no wrong. This will be the fourth installment of the Greatcoat series, which I adore. 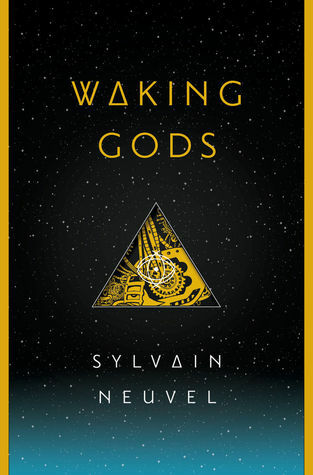 Waking Gods by Sylvain Neuvel (April 4) – I had mixed feelings about the execution behind the first book, but the story of Sleeping Giants itself was tantalizing enough that I am pretty intrigued by the sequel. 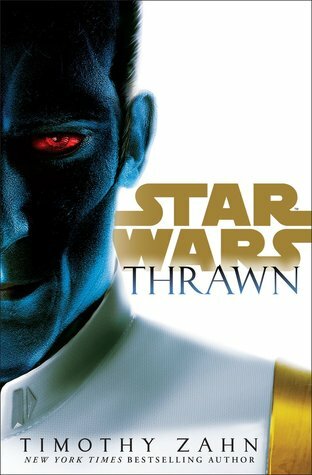 Star Wars: Thrawn by Timothy Zahn (April 11) – One of the most iconic villains in Star Wars history has returned to the new canon. I saw him in Star Wars Rebels and I’d love to know more about this reiteration of Thrawn. 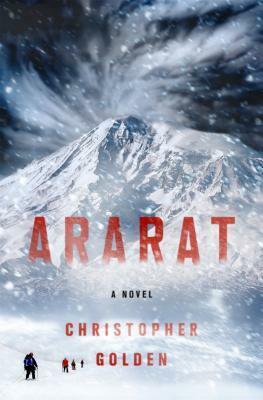 Ararat by Christopher Golden (April 18) – A supernatural thriller set on Mount Ararat in Turkey. It seems I have a thing for horror novels set in cold places. 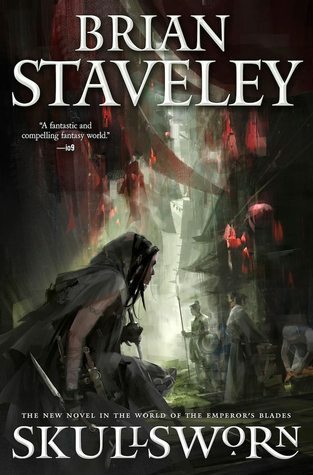 Skullsworn by Brian Staveley (April 25) – A new standalone epic fantasy by Brian Staveley that returns to the world of his Chronicle of the Unhewn Throne series. 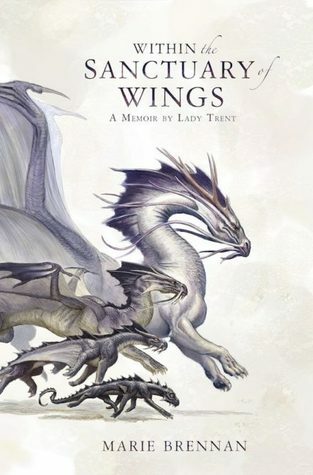 Within the Sanctuary of Wings by Marie Brennan (April 25) – Another one of my favorite series will be coming to an end this year, with the fifth and final Memoir by Lady Trent book. Some good ones there. I don’t know if I’ll get to Bear and Nightingale in January, but it will be read sometime next year. And I’d like to read Sleeping Giants and start on the Lady Trent books. I saw you included other books from those series and they made me think of them. I’m with you there! I just love her! Yeah, we’re off to a great start in SFF! Can’t wait to see what else is coming up in 2017. Yeah, I’m really looking forward to that! And heck yeah, I can’t tell you how excited I am for the next Luna book! You definitely are more strong-willed than I am! I have seen many of these types of “most anticipated” lists around and have added plenty more already, lol! I’m really curious about Caraval…I’ll be waiting to see some blog reviews before I commit though! 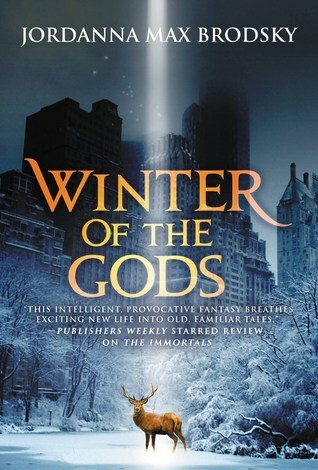 I hope I like the Immortals because I LOVE the cover for Winter of the Gods and need an excuse to buy it! I’ll have to wait until 2018 for the paperback version of Silence Fallen though…gah! Ararat is exactly the kind of book I love but I’m not really a fan of the author so I’m not sure about it…might have to give it a try though! So. Much. YES!! This is going to be a great year. Yes! I’m really excited for the books of 2017! So many good books! *bookmarks this post* Red Sister is the only ML book that sounds appealing to me thus far, so I’m gonna keep an eye out for buzz on that one. I couldn’t resist reading Etched in Bone ahead of schedule and I absolutely loved it. Not sure what you’ll think of it though based on your experience with book 4, so I’m curious to hear how you like it! Red Sister sounds a lot different from his other two trilogies, so I’m very curious too! And I know how you feel with regards to Etched in Bone. I’m holding off until closer to release but it’s hard! Lots of great books this year. Can’t wait to read your thoughts on all of them. And… bookmarked. I love it when people do the hard work for me. Woo, I spy a lot of urban fantasy that I’m looking forward to! I’m also planning to branch out more into adult fantasy instead of just sticking to YA, so will definitely be using your blog as a resource. First of all THANK YOU for this! Even if I am feeling a little overwhelmed by all the awesome. I’ve seen you mention The Bear and the Nightingale several times so I’m excited about that one. I’m also really glad that the next Peter Grant book is coming out! Department Zero is a new one for me and it looks really interesting. Also, I think since I have a hopeless number of series going anyway, I really need t pick up the Anne Bishop series:). 2017 is looking pretty good! And I’m so excited about the new Peter Grant. I actually started the book weeks ago but I’ve been savoring it! Excellent! I want Six Wakes and A Darkness Absolute big time. Winter of the Gods, and I LOVE that cover of Luna! And I’ll buy Silence Fallen even though I haven’t started that series yet lol! Although maybe I’ll wait for paperback since by the time I get through the series it’ll be out in paperback! Definitely, I’m hoping ACoL will be the epic conclusion promised. I liked book two more than book one, so it’ll be sweet if that patterns continues! Awesome list! I’m really excited for Bear and the Nightingale and Caraval also! I loved TBatN! Looking forward to start Caraval soon!